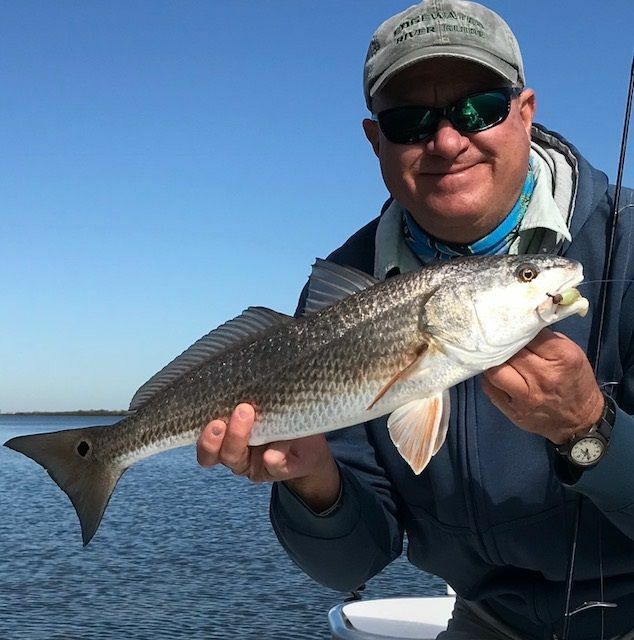 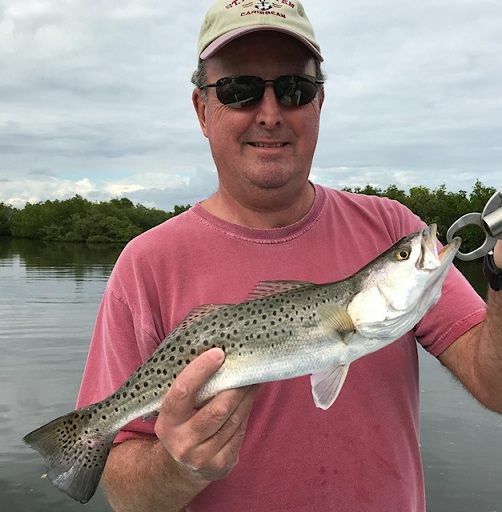 Winter has arrived in East Central Florida, our first freezing temperatures after several warm winters in a row, water temperatures dropping in to the 40’s F, driving fish into the deep holes, and the shallow water schooling fish back on the flats to feel the sunshine during the day. 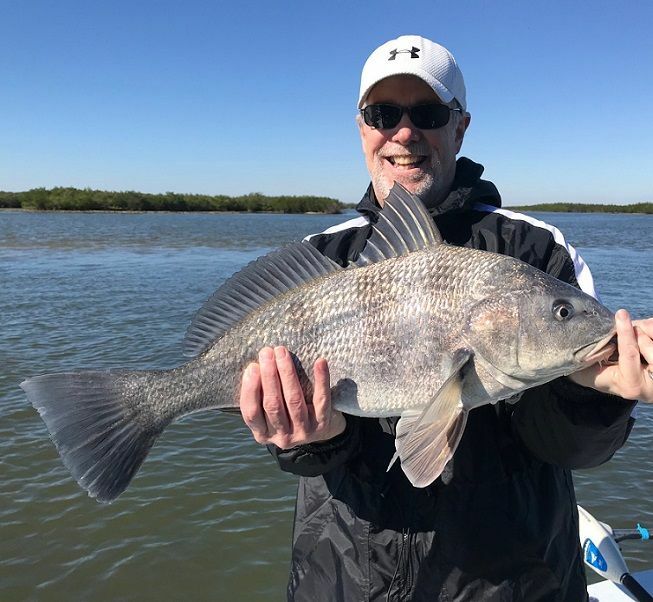 More winter fish biting in the backwaters like Sheepshead and Bluefish, local resident species Redfish, Seatrout, and Black Drum bite all through the winter as they are more cold tolerant than sub tropical fish which are here also such as Snook and Tarpon which can be at risk when the water gets cold enough in shallower water spots were they cannot get to the bottom in deep enough water to avoid the colder surface temperatures. 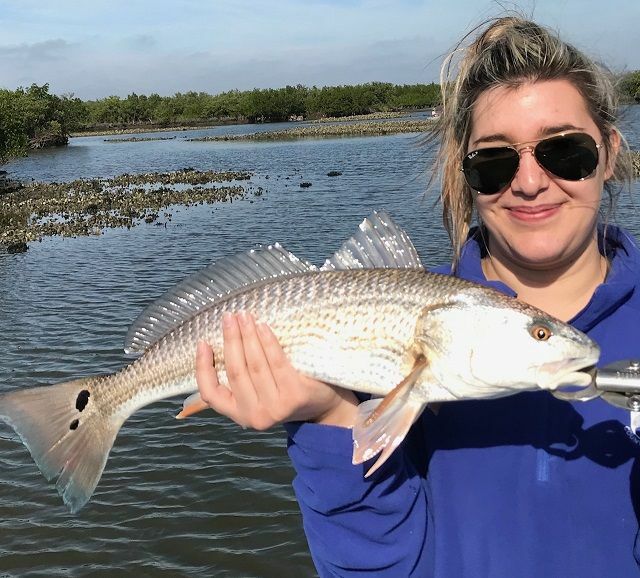 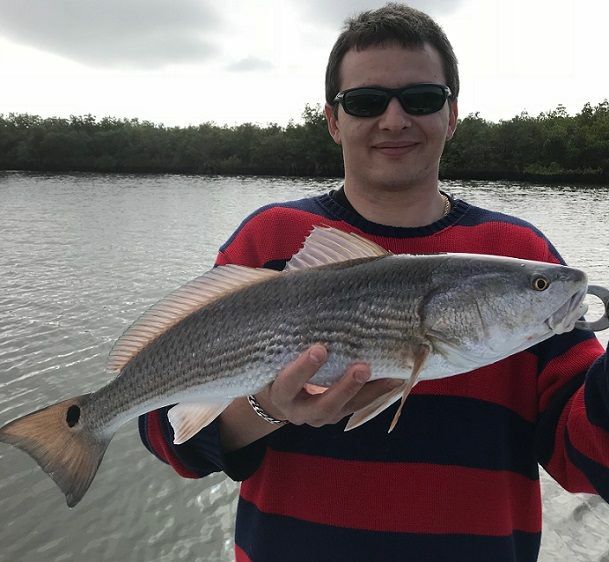 Schooling Redfish on the flats of Mosquito Lagoon is always a winter target, a fun sight fishing challenge, poling the boat to find the school, getting into position to be able to get baits to the fish. 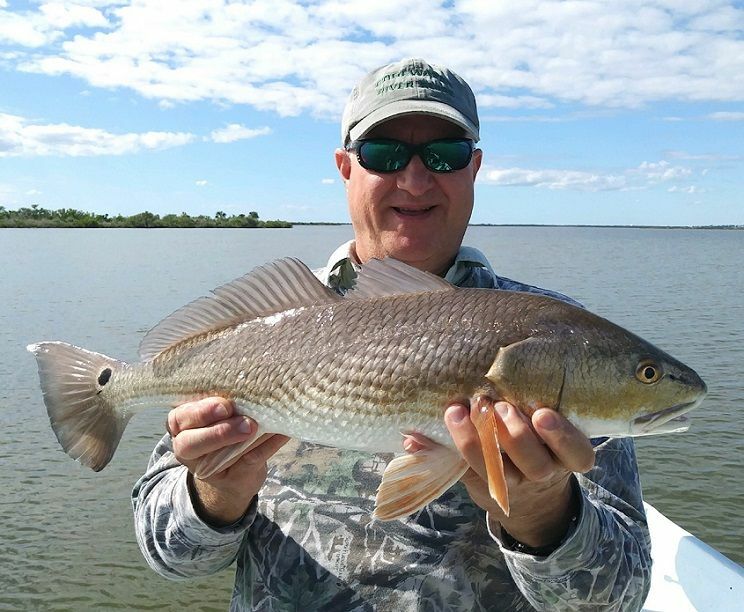 Canadian clients Claudia and Chris had a great backcountry trip with me , catching many different species dropping shrimp baits into the deeper holes, then after the sun was up enough we hit some flats finding a school of Redfish warming them selves in an oyster bar lined bay, they landed 5 Reds on our light spin tackle, Claudia did catch the largest one…………………..
Repeat client Steve from Canada came out with me with his friends catching a bunch of different species including the ever present backcountry Seatrout…………………..
Another Redfish from another fun scouting trip, as late winter and spring arrives the guide business picks up with lots of charter trips so no need for scouting when out most days of the week with my fun clients………….